It is Post 411's pride and privilege that we can bring opportunity and offer get-ahead springboards to some of Islip's most talented youth. American Legion mentoring programs help orient our children in the important subjects of democracy, patriotism, civic responsibility, volunteerism and America's historical experiences in conflict. We lend a unique and added perspective that only veterans can provide. It's our aim thorughout to deliver practical, memorable and hands-on learning that encourage young people to put down their hand-held electronic devices short time and rise to new challenges that better themselves. American Legion Boys State is among the most respected educational programs of government instruction for high school students. Each participant becomes a part of the operation of his local, county and state government. Boys State has been a program of The American Legion since 1935. At American Legion Boys State, participants are exposed to the rights and privileges, the duties and the responsibilities of a franchised citizen. The training is objective and practical with city, county and state governments formed and operated by students elected to various offices. Activities include legislative sessions, court proceedings, law enforcement presentations, assemblies, bands, chorus and recreational programs. Click the image above to watch a short video and obtain additional information. American Legion Post 411 and its Ladies Auxiliary screen and select high school juniors to attend the Boys and Girls State programs annually. We assume the full cost of expenses because we so strongly believe in the programs value. Those attending earn respected certificates, return to present reports on their experiences and go on to assist in the briefing of the following year's crop of candidates. 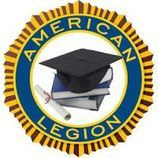 American Legion Post 411 offers scholarships and provides resources that assist young people in their pursuit of higher education. We offer direct grants to students, and guide the kin of wartime veterans and participants in various Legion programs to additional funding source opportunities our national organization makes available. American Legion posts sponsor troops and activities for more than 2,500 Scouting units across the country, and we work closely with qualified candidates pursuing the coveted rank of Eagle Scout. This partnership is a natural one for Legionnaires, who bring their service-learned skills to the table, and draw upon their veterans experiences in team efforts that help build character and positive traits in American youth.